Bankruptcy can eliminate many kinds of debts, such as credit card debt, medical bills, and unsecured loans. In a Chapter 7 or “liquidation bankruptcy,” some of your property may be sold to pay down your debt. In return, most or all of your unsecured debts (that is, debts for which collateral has not been pledged) will be erased. Some assets may be exempted, like those deemed necessary to support you and your dependents (such as your clothes, car, and household furnishings). This bankruptcy is the most common filing for business failures. It cancels most debts, but you have to let the bankruptcy trustee liquidate nonexempt property for the benefit of creditors. If you don’t have any property or all of your property is exempt, then you will have a “no asset” case. If you owe money on a secured debt (for example, a car loan, where the car is pledged as a guarantee of payment), you have a choice of allowing the creditor to repossess the property; continuing your payments on the property under the contract (if the lender agrees); or paying the creditor a lump sum amount equal to the current replacement value of the property. A Chapter 7 case begins with the debtor filing a petition with the bankruptcy court. In addition to the petition, in a Chapter 7 bankruptcy case the debtor must also file with the court various schedules of assets and liabilities; current income and expenditures; contracts and unexpired leases. Debtors must also provide the assigned case trustee with a copy of the tax return or transcripts for the most recent tax year as well as tax returns filed during the case. Additional document filing requirements include a certificate of credit counseling and a copy of any debt repayment plan developed through credit counseling; evidence of payment from employers, if any, received 60 days before filing; a statement of monthly net income and any anticipated increase in income or expenses after filing; and a record of any interest the debtor has in federal or state qualified education or tuition accounts. 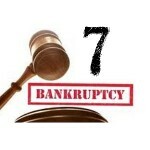 The Bankruptcy Act limits the ability of a debtor to file under Chapter 7. You can only file for “liquidation bankruptcy” if your median income is below the state median income; if it is higher, and you can afford to pay out $100 monthly to liquidate debt, you may only file under Chapter 13. There are benefits to filing a chapter 13 including the “stripping off” of 2nd mortgages, etc. The new law also mandates credit counseling ahead of filing in a government-approved program. Debts or creditors not listed on the schedules filed at the outset of the case. Most student loans, unless repayment would cause the debtor and his or her dependents undue hardship (more on student loans below). Recent federal, state, and local taxes. 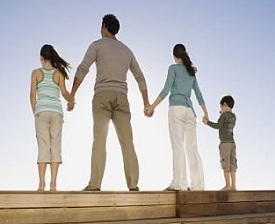 Child support and spousal maintenance (alimony). Government-imposed restitution, fines, and penalties. Debts resulting from driving while intoxicated. Debts from fraud, including certain debts for luxury goods or services incurred within ninety days before filing and certain cash advances taken within seventy days after filing. Debts from willful and malicious acts. Debts from embezzlement, larceny, or breach of fiduciary duty. "When I first met Alex, I was scared and extremely nervous. As we conversed about my decision to file bankruptcy, he gave me comfort with his words of understanding and confidence. He made me feel comfortable and his knowledge of his work made things go smoothly for me. Alex will always be a part of my life because he made my life what it is today "Happy and Content". "